- Eighth District Representative says we should not allow people to come into our country to destroy locals! Mr Leonard, who is the owner of Bobby’s Supermarket, closed his Road Town store branch a few months ago for renovation- a story first published on Virgin Islands News Online. After this news site’s own research and collection of the tape, we can confirm that the freshman legislator was referring to the popular Morning Ride Show carried on ZROD 103.7 FM with host Paul ‘Gadiethz’ Peart, who is a Jamaican national. However, it’s important to note that the Member of Parliament did not call the show’s name or indentified the radio station during his presentation. He said the show was at the time speaking about the issues of the closure of Bobby’s Supermarket and was disrespecting a local entrepreneur, Mr Leonard, who had taken risks to try and create services and entertainment in the Virgin Islands. Hon. Penn said the discourse “sickened me” when the conversation on the same radio show was about whether Mr Leonard, who he claims comes from a prominent family, was “broke” or not. He said on the morning of the show in question he was driving to Road Town with his son when he heard the various accents calling into the same show derogating and destroying Mr Leonard and his family. Hon. Penn said “all Mr Leonard has done was contributed to the people of the Territory”. Hon. Penn blasted the radio show in defense of Mr Leonard and spoke to the history of how the business got started and where it has reached today. He said the tone of the radio show about businessman Mr Leonard not only sickened him but “I was really hurt by it”. He said he was not against freedom of expression or speech, but we have to be responsible, “the Leonards are our people, they are one of us...they took a risk in this country...BVIslanders do not operate this way...that is not the BVI, I want my son to know….” Hon. Penn said with much passion. Hon. Penn said on another occasion on the same radio programme, he listened to another conversation over the money owed by the Festival Committee to vendors. He claimed that the show was casting aspersion on members of the committee that they had taken the money to go on a vacation and not pay the persons owed. The first term legislator told the HOA on October 14, 2013 that he now sees why no one wants to join any committee because “if you put yourself out publicly you are suggested to be corrupt, ..a thief…all kinds of things about your character...these are people who come from reputable families”. Hon. Penn told Parliament that “we cannot continue to use the public airwaves to destroy our people…something has to be done and I have a problem with this type of discourse and the type of aspersion and tone must stop”. He said “you can be critical and speak the truth but we should not speculate as people are listening and the children are listening…we are passing on a legacy of hate”. He said we are trying to build a nation and to do that we have to work together, however, we will not agree on everything. 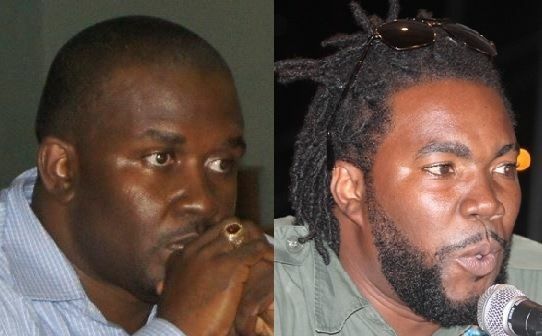 Neither the host of the Morning Ride Show on ZROD 103.7 FM, Paul ‘Gadiethz’ Peart nor the owner of the Radio Station, Rodney Herbert could be reached for comments up to post time. Well said. Hon. Penn, many of these media persons or members of the public tout around the phrase "freedom of expression" as an excuse to say what they want about others and speak how they want. But of course there ought to be some limits as to what you say, how much you say and where you say it. It is indeed disgusting when these persons feel as though they can say what they wish about others and try to argue it's freedom of expression. And I'd jump out on a limb and say it is even more disgusting when people who are not from here try to bring down locals. If you have nothing nice to say then don't say anything, you don't have any business talking about what doesn't concern you either way. Do you really think he can be deported just for this? Do you even know what triggers a deportation order? Many a$$es$ would not knowo that undertaking any business is a risk. Who can cast the first stone. Elton needs an OBE award from the queen. He tried to bring much to the ppl of the BVI and many of them should appreciate and not hate! The same way the former magistrate sue Edmund and the tv station is the same way Elton need to sue this host and the radio station in question for slander. This is a good idea, then he can take that money and pay the government all the money he is owing to the government i will not say for what go and do your homework if you are so bright. @ agreed! I disagree, let the island people say what the hell they want. Our own people in here cutting our @$$ and we cant say jack sh£^. I always feel much better for a stranger and outsider to cut my @$$ rather than my own, so marlon, shut your @$$ too and leave the island people dem alone. We catching more hell from our own dan dem, so shut all ayo tail. ayo in there day by day, selling out our country and we cant say jack $"£^. ayo in there overlooking locals, bringing in island people to head over us, giving dem positions they cant get in there own country, and giving us a reason to run from our own home land (we will soon be extinct) and you have the nerve to be in there bitching about the same power ayo in there giving the island people dem????????? stttttrrrrupes. allyo done let them think they run things in our little territory now yo dey here trying to shut them blood cleet up. these same people can't say a thing or even buss ah grape wey dem come from. anyway that is good for allyo behind. whenever you guys Marlon have an opportunity to give a qualified local a job that they went away to school to study for, you give the job to an outsider who would then come and criticize yo tail. another reason why NDP must go!!! Marlon you RIGHT!! He cannot go to JA and speak about JA people like this! As a JA national I know what I am saying! If he was in JA, as he walk out the studio he would have gotten dealt with right away! A matter of fact, he would be too smart to even make those kind of comments about JA people in JA! I hate when JA people make other JA people look bad! why ndp wants to silence the media? we the public cant paint a rosy picture of good things that gone bad? Marlon didnt know all this when dancia was called an empty kerosene can? 1. U can't pick and choose which locals to respect & disrespect. the NDP administration has been very disrespectful to locals. 2. They seem to have a real problem with media. so this is whaqt it takes for we to hear marlon mouth..
Looks like this politician hate Jamaicans! I think Mr. Penn is right. That program is a disgrace. Pope from the island so come he is not calling in about Malone bashing island people? Every dog have he day to say roof roof. Dem like the shock and ahhhh factor, BOL! Leave him. R****y need to take control of he station. All of you that listen to the radio program every morning need to keep quiet. is Mr. Penn being prejudice towards foreigners. I have been saying this for a long time. We must not tolerate these type of nonsense in our country. weed got it exactly right: “This is like a preschool that’s gone awry. " Excuse you M.Penn - where was your moral compass pointing when your colleague CSK was bashing Dancia and blatantly calling her disrespectful names? Where were you when your "team" called the leader of the opposition "an Emperor with no clothes" - whey you was? What about those employees at the said establishment that were never paid on-time or even what they worked. Dude gtfoh with your pious BS - you ain't fooling nobody just another divide and conquer tactic. u have no point real and come again! People should be careful how they typing because just how you speak you type easy to know who speaking. More drama in Dramaville!!! Next! Where is Willie Peelie when you need him? Marlon I can respect what you are saying about this radio host. I have listened to many a show and can not believe his level of ignorance. Now, to those who are saying Marlon is bias, there is a difference between name calling and defamation of character. The latter can be a civil court matter and so if Elton feels defamed he can sue the radio station and the radio host. Yes, you can sue for defamation in the BVI. Finally, if Marlon's counterparts engaged in name calling, who are we to say that he didn't express his concerns to them and if so why would he share those concerns with the media? Use your heads people. Whether for or against NDP/VIP please present common sense arguments. Penn never made mention of any radio station or host during is speach on monday BUT if walks like a duck them it must be a duck !!!!!! We need to stop playing politics every time there is a situation. Black people needs to stop behaving the way they do. They never can make a positive comment it always have to be the negative. Yes something should be done about such things this is why the BVI and black people will never get any where, we allow anything and anyhow to take place. Its time we wake up and start smelling the coffee and doing what is right. Even when the Government do wrong we need to take action, but do we? no, so why complain now. This is the only Caribbean island that is afraid of speaking up for what is right, Lets do the right thing!!!!!!!!!!!!!!!!!!!!!!!!! Tell the talk show host to talk about the Jamaican man that got electrocuted and loss is 2 hands. The Leonards have contributed in a meaningful way and have given jobs to your same country people... so just shut the hell up Gadietz!!!!!!!!!!!!!!!!!! So this essentially means that a person from overseas who comes to the BVI cannot speak!!!! The bvi is not my place a birth n i feel very ashamed sometimes to say to a origanal bvilander im not from here i love this country to death n its all i know i hate when expats or locals make it bad for people like me who loves this beautifull @$$ country...stop tha $%^&!! All of you that listen to the radio program every morning need to keep quiet. All the time you all enjoying all the gossip and the mellay and laughing at other people’s calmaties you never thought that it was wrong. Now as soon as Marlon speak out everybody have something to say! Hypocrites! Why do people listen to his foolishness in the first place. Marlon you RIGHT!! He cannot go to JA and speak about JA people like this! It's beyond galling to know why Mr. Penn must be snickering about this. Like Aubrey say!THING TE TALK! All of the penn's are getting nervous because B*** p*** is the first nail in there casket of fraud and m**** ain no saint with that big a*s house he building up di hill. Your having a hate attack. Sad that your too far into the symptoms to recover. You could have a big house also, with a little ambition and hard work or help from the bank. But the hate attack have you stumbling and confused. SORRY Too late. Marlon, thank you. His side of the story ain't even making sense. He could never publicly say them kind of things in Jamaica and here with he fart attempts to draw ratings. You just stay focused. This too shall pass. Come on haterss we trying to reach 150 comments.lol D funny thing is all ayo who jumping on gadiethz does Still turn around and listen to he show so hush up haters!!!!! CAN'T STOP D MORNING RIDE SHOW d voice of d voiceless When E*** up and down ill treating d workers by not paying them nobody ain going talk about that but is gadiethz ayu gah strength for FALL BACK HATERS!!!!!! Wait what happpen HOA don't have anything on the table to discous? I applaud Hon. Penn for standing firm. If the people truly feel a party is doing a bad job, the votes of any district will reflect that. You really have to wonder, what penn and paul were thinking? So the question is, since the 2011 elections, has the anointed ones narrowed the schism between the rich and the poor, locals and expats or have they further polarized the groups with this brand of leadership? If you live in a glass house don't throw stone, and if you can't take blows brother don't throw blows. Your own Jamaican Icon Peter Tosh warn you. Who don't hear will feel. I never did liked that dude, he does sound so fr*g-up on the radio. To Gadiethz and his supporters. I’m not from here, but agreed with Marlon we really need to have respect for everyone including the locals. They need to stop focusing on who say what and try focusing on the economy. I really don't see why they meet in HOA, it seems just to discuss what I'd said in the media, whether on radio or online new. sssttrrupps! I agree with Marlon to some extent. I heard the said show one morning listening from overseas and could not believe what I was hearing. The host and his sidekick were actually laughing at bobbys difficulties, sick sick sick! Why you people keep listening to paul and his rubbish? I never listen to zrod not in my car or my house. 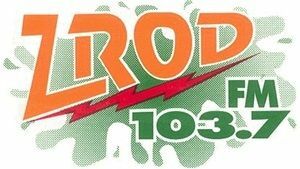 If the world was coming to an end, and zrod was the only radio station reporting that information i would know,because i dont ever lister to this station. P...l is full of himself he thinks he i larger than life. Tell him try that in Jamaica. People should respect people aand know when to say what. Don't throw stones if you live in a glass house. free speech is the way to go!! Black Natives at the throats of Black Expats! I listened a couple time long ago, I don't like his show at all, so I never listen. Too devisive PERIOD! yea boy don't worry with them just have your Jewish Lawyer come down and deal with your situation! All these bloggers are certainly persons that sits in offices that have nothing to do. Go to work and get the job done and be productive employees. "Let my people go"
I am sure,like any other business;he does face economic challenges and may have to make adjustments where necessary to accomodate the situation. While it is true,that Her Majesty-The Queen,bestowed upon Her citizens and residents, Freedom of Expression-as a Fundamental Right,under section 23 of the V.I Constitution, these freedoms are not to be abused and confused with slander, Libel and respect for personal privacy! Even some of you bloggers want to use this democratic news site-VINO to personally attack others; but fortunately,the editor of VINO,and the responsible workers there,have shown,in some edited bloggs,that they are conscious of their responsibility to protect the character of persons,especially persons who are not in public life! I support Hon. Marlon A Penn,with his public condemnation of the show, a show which allegedly rediculed an honorable citizen of Her Majesty,Mr.Elton Leonard. News in brief: On 15th August 1999,at about midnight,in roadtown tortola BVI,as a proud serving royal member of Her Majesty's Police Force,I witnessed an armed-robber-thief robbing mr.Leonard of his hard earned money; and in the process of rendering assistance to him,as part of my oath to serve and protect,I was gunned-down in the line of duty! Mr.Leonard continue to do business,helping others to have a job,and allowing visitors to get a work-permit and subsequent temporary resident status. He is a good man. We must stop using the media to degrade others in this beautiful and peaceful country BVI, and many of us do not understand the meaning of freedom of speech under the Constitution;so once its a "Long-tongue-speech" we say it! Long live Bobby's,you helped others:And may the good-lord continue to protect the residents of the BVI. Now this is a bit off the subject but I'm at home today on vacation and I hear the sound of a lawnmower so I get up and take a look outside. I see two Jamaican men out in the hot sun with t-shirts around their heads taking care of the lawn around my home. I offered them each some ice water as I thought to myself which LOCAL is gonna do their jobs if they were to leave? As a descendent from the BVI, I feel that Elton is an extremely brilliant business Man. His Dream may be bigger than Tortola, but he is fearless in his pursuit of that Dream. With that comes criticism and praise, which Elton handles well. The problem is the Hate, I often wonder how can someplace so Beautiful breed such evil. We need to pray!